Belgen mensen zijn bourgondiërs – bourgondiër: one of those words that I don’t think has an exact English equivalent. Bourgondiërs means that once you’re seated at a restaurant, pub, café, friend’s house or any other place you’re visiting and having a festive-drinky-eaty time that you’re not likely to get up and leave any time soon – you’re dug in. The etiquette of drinking or dining (or just catching a bite) out is predicated on this bourgondiërs principle. In fact being at a café is so important that it has a special term! 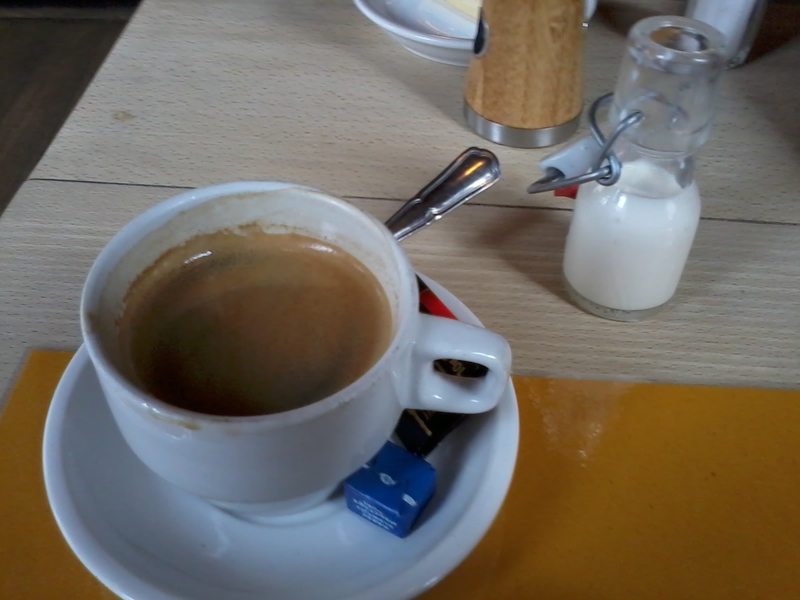 When you go to a café in Belgium you’re not in a café, you’re not at the café, you’re ON café! As in ‘Ik ben op café.’ and when you’re a patron at a café or any place that serves food or drink, you will never be rushed. This also means you’ll never be served if you don’t call for service! In Belgium it’s all about the visit and not about making sure you get rid of a “happy” customer. Once seated, you’ll be left alone with the menu. If you’re not used to this bourgondiërs principle, you’re going to feel ignored by your waiter instead of embracing the Belgian way and sitting back in your chair, relaxing and enjoying the company (whether it be exclusively your multiple personalities or other) and going’s on around you. When you’ve had your fill of the menu and wish to order something it would be advisable to attract your waiter’s attention with a deliberate hand wave or some such gesture. If you don’t, you’re going to be sitting there dry mouthed for a very, very long time. It’s considered incredibly rude to rush one’s patrons so waiters will only serve you if summoned. They won’t hover about you like overprotective parents with interjections of “So, have you decided on what you’d like to drink yet?” or “Have you decided on what you’d like to eat?” or “May I refill that glass for you?” That doesn’t happen here! Once you’re done eating and drinking, you’re welcome to sit as long as you’d like and absorb the atmosphere, décor or your company’s witty charm. Your waiter will never arrive at your elbow to give you the bill or see if you want anything further because that kind of rudeness is not done here! When you’re good and ready to go, once you’ve had your fill and would like to take your company home to show her anything kapot (Nederland word for broken among other things) you will need to summon your waiter again for the bill because he’ll ignore you until you do. He really isn’t trying to be impolite or deliver bad service – on the contrary! He’s trying to be as polite as possible by not rushing you! You really are expected to visit a little and be a grown-up about the whole outing and decide when YOU want to leave. No gratuity needs to be added as this service charge is already included in the price however a little gratitude for a job well done never goes amiss if the job was indeed well done! This bourgondiër concept can also be feared and discouraged. I remember inviting my friend around to Méme ’s house when I was maybe six or seven years old. She lived across the road and I’d always play at her house and today I thought it’d be a good change if she came across the road to Méme ’s place. When she went home at the end of the day, Méme took me aside and explained in a few short expressions the rules she expected me to abide by. The second factor is WWII (World War II) which Méme lived through and experienced in Belgium. Food has always been a precious commodity to her because food was in short supply during her childhood years during and after the war. Sharing food was simply silly and paramount to giving visitors your wallet and saying “There we go, help yourself!” That bourgondiër lifestyle became the property of the rich or entitled during those dark times. In my country of birth, eating out at a restaurant or coffee shop is quite the thing to do but there the waiter will try to serve you, sell you the most expensive items on the menu and try to get you out of the establishment as quickly as possible to do it all again to the next customer. This way they can turn over as much profit as possible in the shortest amount of time. The service is quick, efficient and you don’t have to do anything barring getting the food in your mouth and chewing! The service of waiters is usually swift and expensive much like a tonsillectomy. My wife and I have never bought into this. Waiters in my country of birth would hate us by the time the evening was done. For an appetizer and a dessert – no main course (one of our favorite outings) it’d take us three hours to get done! I’ve never taken much notice to waiters buzzing around the table waiting eagerly or continuously asking if we’d like the bill. Being a bourgondiër must come naturally! I think I have this one nailed – “onder de knie” I believe is the Flanders way to say this. 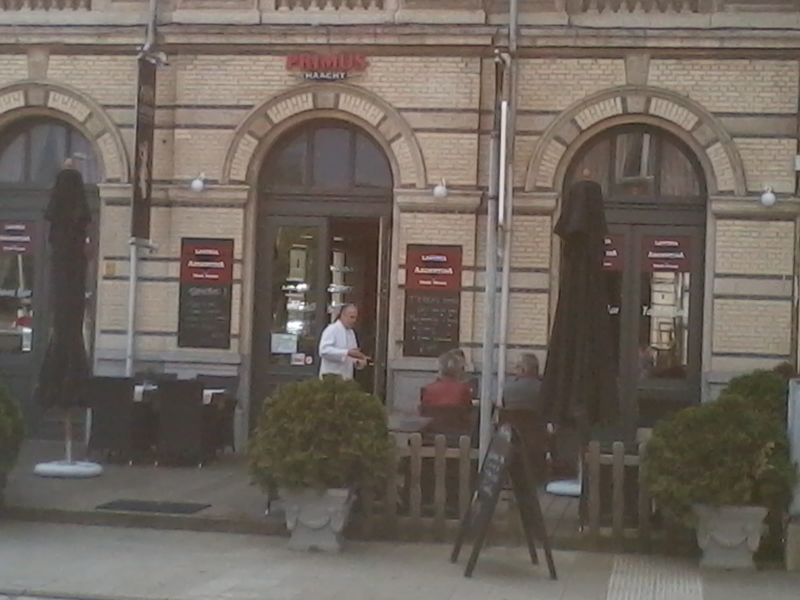 Belg mensen zijn geslote – roughly translated this means Belgians are “closed” people. It’s a strange mixture of shyness and simply being ‘unfriendly’. They keep their emotions and feelings to themselves and expect others to do so to the extent that wearing a bright orange T-shirt could be considered bad manners. Even overly spiced food (any spice at all) is a little too extrovert! It manifests on public transport like the bus, tram or train where the Belgians prefer to sit by themselves. Sometimes they’d rather stand than sit next to someone occupying a double berth seat. Eventually though, they do give in and begrudgingly sit with the occupant of the seat who in turn puts on their “begrudgingly allowing you to sit” face on. For me, being a regular on a bus means I’ve caught it consecutively for a week and this, I feel, entitles me to nod politely and smile at the other regulars. This didn’t work. I guess in Belgium you have to travel on the same bus for a lot longer before you’re a regular and entitled to the same nod and smile. It took four months before I got a slight head squirm and a corner of the mouth spasm attempt at a smile from a regular traveler. I also understand that this was a major feat as the usual time (a measure based on my aunt’s experience as she’s been here years longer than I) is approximately a year for this kind of reciprocal response! Don’t get me wrong though. Belgians on public transport are the most helpful people I’ve come across. They will help a mother get her stroller and baby on board or on disembarking and I’ve even seen men help a lady lift her daughter out of a wheelchair to get them on and off the bus with no prompting or pleading – they simply jump in and do! Where I come from this is unheard of. People don’t help like that without expecting a gratuity. Personally I think this “geslote” attitude comes from the big World War II. My Méme used to tell me that you couldn’t trust anyone, even your own neighbor. Anyone could be friendly with the occupying Germans so it was survival to mind your own business and keep your head down. So you help where it’s evident that help’s needed but that’s all. It may sound strange but even now, there are still throwbacks from the 2nd World War. There’s a poster at the station that outlines that there could be delays during the Mechelen Station refurbishment if during the excavations they come across any unexploded World War II munitions! Right, so how do I incorporate this to become Belgian? Well, I’ve always been shy and introvert in person – not so much on blogs and other social media. Okay, so one thing covered then. When it comes to clothing, I’ll have to review what I wear before I step out the door. Having moved here with my “foreign wardrobe” means I own lots of vibrant and colourful clothing. Instead of that bright orange shirt with the green Hulk cartoon coming at you picture, I need to choose something in grey or black perhaps. If I’m really feeling sassy I can maybe go with white! I must behave myself on public transport and not smile at fellow Belgian travelers that I may recognize from the day before or (god forbid) sit next to them! Hmmm. I’m not entirely sure I can do this…urm…entirely. I’m usually quite pleased to see a fellow traveler waiting at the bus stop because that usually means I haven’t missed the bus and the knee-jerk reaction is, well, to smile! I shall have to practice this Belgian trait and become more “geslote” – just out in public though to ensure the natives aren’t made to feel uncomfortable – I will try my utmost NOT to bring this trait into my home!